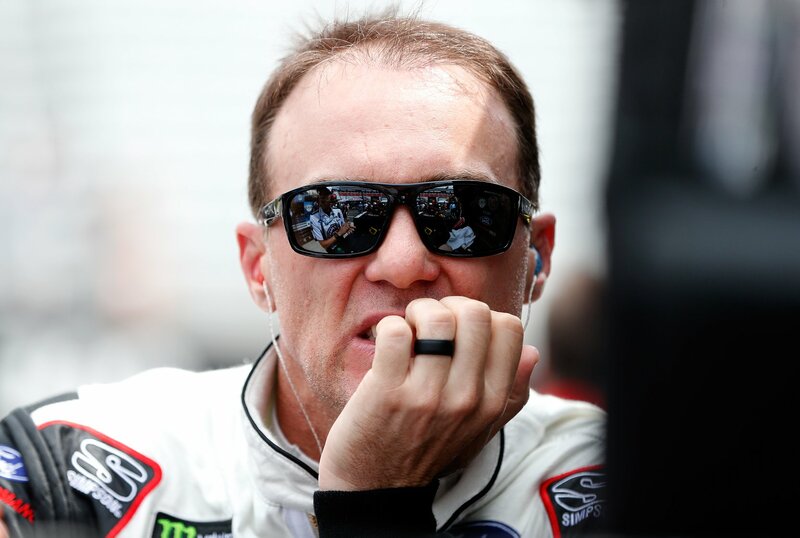 Kevin Harvick is set to start from row two at Tallaega Superspeedway. He’ll start 3rd with two teammates ahead of him. “Tomorrow, we’ll line them up and play chess,” Kevin Harvick told NBC of tomorrows race. Kevin Harvick turned a lap of 46.889 in practice, he was quickest overall. That was pack racing speed. Specifically, it’s a 204.227 mph average. In April, the average speed was 203.975. However, since then it was expected that the cars would slow down. Why? In April, NASCAR updated the rules package. Jame McMurray was involved in a practice crash. He went airborne then barrel rolled into the infield fence. NASCAR reduced the restrictor plate ahead of qualifying in April. The plate was changed from 7/8 of an inch to 55/64th. A few months later, they haven’t slowed down. A few months later, cars have maintained the smaller restrictor plate and a bigger spoiler. Yet, they’re still going faster. “Yeah, I don’t think that’s really what NASCAR intended to happen when the bigger spoilers and things got put on the car,” Kevin Harivck says. “We’ve been in our fair share of melee’s through the years. I don’t think it’s any different this week than it has been in the past.